This morning, Tickled Media released the findings of their survey on The Asian Digital Mum Report. 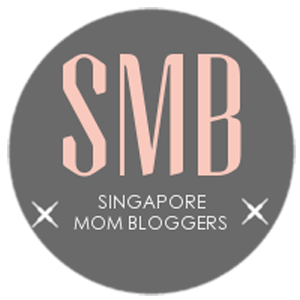 As part of their revelation, they invited a panel of four “Digital Mums” to discuss the trend of Asian mothers and their usage on social media. I was very honored to be one of the Asian Digital Mums. The panelist comprised of myself, Meri Rosich, Founder of Quality Time Lab, Holly Lam, Campaign Specialist, eBay Enterprise and Mantazh Khanna, Co-founder of PS It’s Healthy. Our panel session was moderated by Simon Kahn, Chief Marketing Officer – Asia Pacific, Google. Over ten thousand Asian mums from Singapore, Thailand, Malaysia and Indonesia took part in this survey. This is the FIRST time such a survey had been conducted on Asian mums. The objective was to identify the most frequent online habits of Asian mums, the trends in their purchasing behavior and attitude and how marketers can effectively target this core group of highly coveted audience. Here are some footages of what went down at today’s event. Marketers and PR representatives at The Digital Asian Mum Survey clearly captivated by the findings of the survey. Roshni Mathani, CEO of Tickled Media welcoming the guests. The panel of Digital Mums – Meri Rosich, Holly Lam, Mantazh Khanna, and Meiling Wong-Chainani; moderator Simon Kahn. Mingling with the audience after the panel discussion. Mantazh, Meri, me and Roshni – one last photograph before heading out for the day. Thank you Tickled Media team for involving me in this very interesting and insightful survey. All photos are courtesy of Tickled Media.